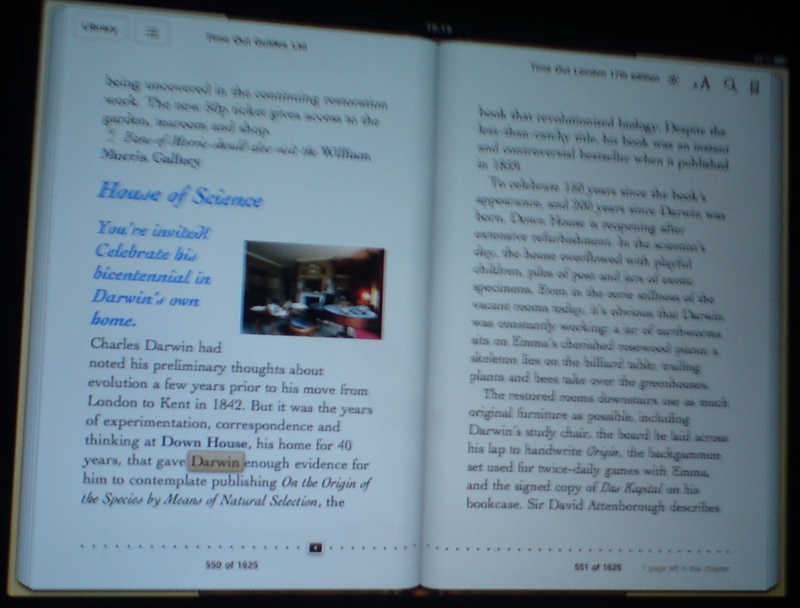 Apple describe the iPad as a “magical and revolutionary product” and the iBooks reading experience as “a joy”. But when I finally got my hands on one of this year’s must have gadgets, courtesy of a fellow reveller at a recent FutureBook drinks party I felt mightily disappointed. Not at first, you understand. 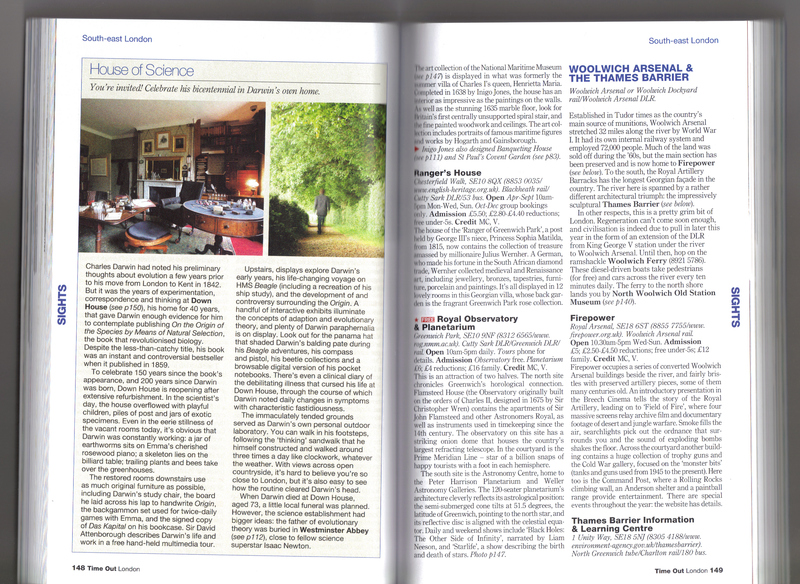 Because, in an eerie bit of coincidence, when the helpful chap from EasyEPUB picked a ‘random’ book to illustrate what the iPad could do, it was one I had contributed to: Time Out’s 2010 London guide. Hijacking the planned sales pitch, I quickly requested a search to find ‘my’ content. Seconds later, there they were: words wot I wrote, twinkly out at me from the shiny screen. I spent the rest of the evening proudly telling anyone that would listen about my appearance on the iPad. In the cold light of the next morning, though, I stopped to think. Didn’t the text look a little bit like someone had knocked it up on an early word processor? Wasn’t the search (which left me scrolling down several entries to find my pages) less efficient than the single-reference index at the back of the physical book? Wasn’t the clickable contents list a little unnecessary when there aren’t that many pages to turn through in the first place? And don’t most people ‘reading’ a travel guide spend a lot of time flicking through pages looking for images and inspiration, rather than studying it like a reference book? In my view not as good as the book, nor as good as Time Out’s no doubt traffic-heavy website. Of course a good, functional and stylish ebook design would cost more money while also delaying the speed at which EasyEPUB can turn the print files for the physical books into ebook files. But that’s just it, they’re just files, not a fully-formed product designed for use on one of the most nifty interactive devices around, and not optimised to give the user any sort of pleasing experience. It needn’t be this way, though. Ever since BERG London announced their Mag+ platform for magazines back in the Bi (before iPad) era, I’ve been extolling their approach to digital reading. By thinking about how people experience a magazine rather than how you’d replicate it online, BERG have delivered a whole new digital magazine format. It’s a format that exploits the touch-screen functionality of the iPad by letting you swipe and scroll through the content, as if you’re flicking through the printed product. It’s a format that sees keeping the content compact and insular as a virtue – allowing readers the satisfaction of reading and completing the whole thing, without swamping them with external links and additional content. And it’s a format that intends to give readers the option to copy, share and comment on content which interests them – though that function’s not available in the current Mag+ app. So please BERG, can’t you find a book publisher who’ll let you apply your smart design principles to some of their products and audiences? I’d love to see what you’d come up with. In the meantime, I’m awaiting delivery of a Kindle and hoping it doesn’t disappoint as much as the iPad did. Sadly, others have already pointed out the troublesome differences between printed and kindle pages, even in this case delivering technical content in a way which makes it useless. So I guess we’re still a long way off from well-designed digital book products on any device. Sigh.